Most of the perimeter cabinetry is in, but still has to be bolted to the walls. 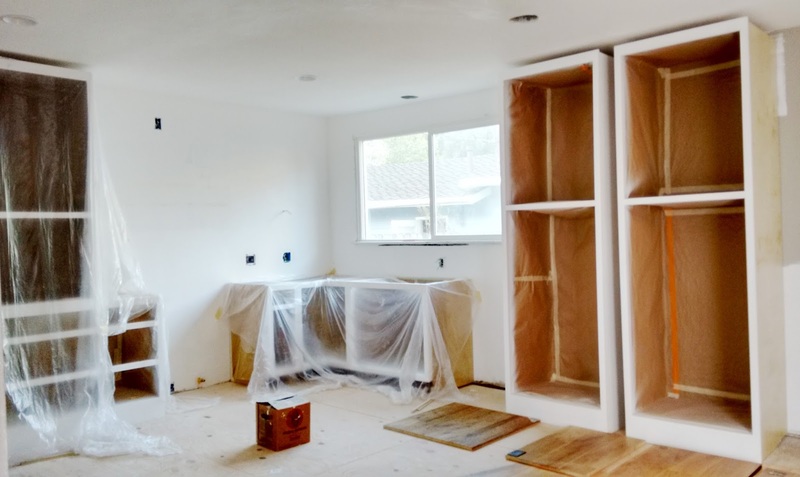 The refrigerator "cabinet", upper cabinets, and kitchen island are in process too! For those who have asked about the details of our kitchen design, I will be sharing a mood board, along with the layout, very soon! In the meantime, you can see some of our kitchen inspiration here. This past week, we visited a couple stone yards in search of our countertops. I had in mind the material and "look" that I wanted, so we bee-lined it directly to those sections. As you can see, I'm drawn to white countertops with some "veining". Have you ever been to a stone yard? It can be quite overwhelming if you don't have any idea for what you're looking for. Not to mention exhausting! I'll be sharing more about the countertops in a later post. 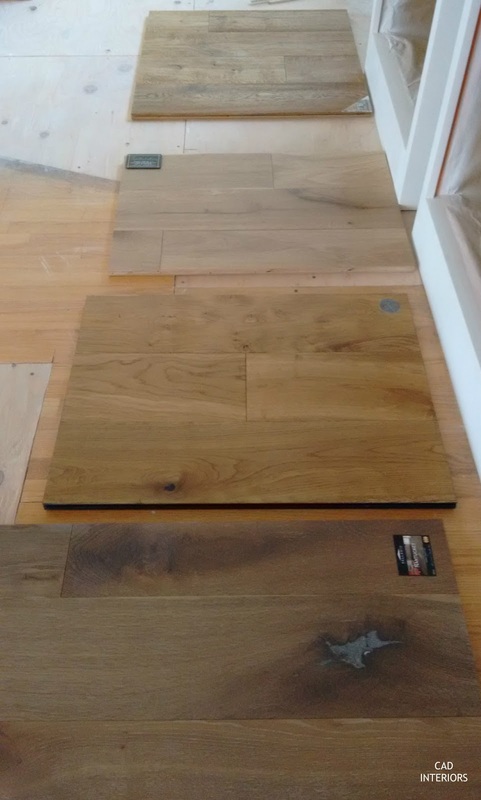 As far as flooring, we eliminated a few initial selections and pulled a few more samples. We are drawn to the European oak planks, but we haven't found one exact wood that has both the grain and color tone we want. Either the hue is right, but the "finish" isn't, or vice versa. New hardwood floors are a big investment, so this process has been fluid. Out of curiosity, which floor do you like above, if any?? I love the marble samples you posted. All of them. As for the floors, I am the worst with choosing wood. None thrills me and yet they all have something interesting about them. I think not the top one because: you go for a shiny, sparkly, new white kitchen with stunning marble, right? The aged wood might look 'poor' against it. 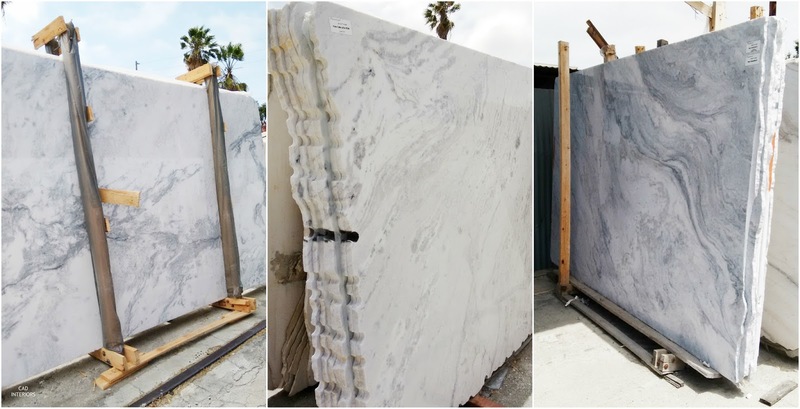 Oh, wow, they look just like marble! are you looking at superwhite? b/c i can't find any in stock that has the grays that i want, and the movement. super frustrating!